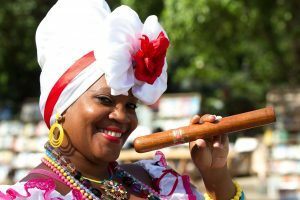 If you have a cigar aficionado on your holiday shopping list this season and you’re not familiar with the wonderful world of cigars, buying cigar gifts might just be a bit of a challenge. 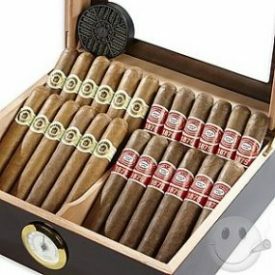 While we understand that purchasing a few of those low quality cigars at the convenience store is, well, convenient, and you might even be able to luck out with a few mid quality smokes at the cigar specialty shop downtown, those types of Christmas gifts are probably not going to make your loved one’s heart sizzle on Christmas morning. To make matters even more difficult, cigars aren’t the only cigar gifts available for the smoke happy people on your list. There are all types of products available for cigar enthusiasts these days, and a massive slew of complicated sounding terminology to go with them. If you don’t know an amatista from humidor, or a corona from a torpedo, then a little cigar-buying crash course might just be for you. Before you head out to buy cigar gifts for that special recipient, let Super Elf show you how to shop for cigars like a professional! Grab yourself a nice hot cup of coffee, and let’s start with some basic terminology. Amatista: An amatista is a sealed, often collectible glass jar that contains 25 to 50 cigars. It’s often a favorite product of aficionados because the cigars are marketed as “factory fresh”. Humidor: For gifting purposes, a humidor is a box that is specifically designed to maintain the proper climate to keep cigars fresh. Figurado: A term that describes any “shaped” cigar, such as a torpedo, corona, bellcoso, cullebra or pyramid. Cutter: A special tool used to clip the end of a cigar. Now that you’re familiar with basic cigar terminology, you’ll need to know how to pick out the best cigars. 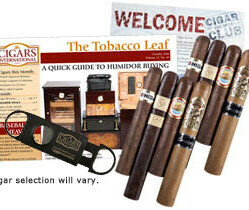 Cigars International, an industry leader in the online and direct marketing of some of the finest handmade cigars, cigar gifts and accessories, is just the place to go. Be sure to check out their Big Brand Monster Box that features two of the most popular brands and a state-of-the-art humidor for a ridiculously low price, or choose the Cigar of the Month Club and give cigar gifts to your loved one all year long! Do you have more tips for buying cigar gifts this Christmas?